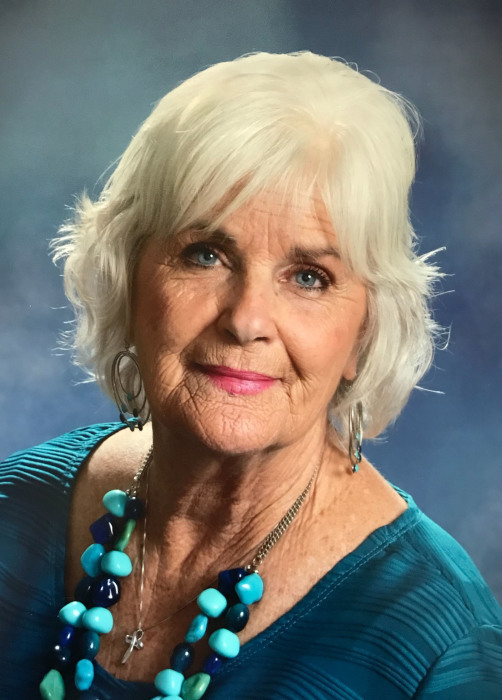 Myra Jean Barkalow, 74, of McCalla AL, formally of Lee County passed away Tuesday, August 28, 2018. Memorial services will be conducted at The Baptist Church at McAdory, McCalla, AL at 11:00 a.m. CST on Saturday, September 22, 2018. Pastor Bill McCall will officiate. Myra graduated from Bessemer High School in Bessemer Al. After marrying, Myra lived in many States but always called Alabama home. Myra loved her Lord and Savior and was a member of The Baptist Church at McAdory in McCalla, AL. Myra will be missed by all those who have known her. Ecclesiastes 3:1, 2-4: To everything there is a season and a time for every purpose under the heaven. A time to be born and a time to die. A time to weep and a time to laugh. In addition to her parents, Myra was also preceded in death by two sisters, Kathy Milstead and Jimmie Lou Bailey. Survivors include a daughter, Paige (Jimbo) Langley of Albany, GA, a grandson, Colt (Kayla) Murphy of Leesburg, GA, two sisters, Faye McBrayer (Don Brooks) and Linda (Johnny) Barger, and a brother, James Bailey of AL, two sisters-in-law, Candy (Reid) Maynard of AL, and Patsy Otwell of VA, several nieces, nephews, extended family and her faithful canine companion, Bosley.